In the picture on the left, the founding fathers are reportedly gathered in either Harry Katz’s basement or a place called “The Barn” near Garden City. 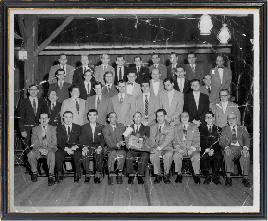 Read about them and this photo here and read the congregation’s first public announcement about the plan to build a synagogue building starting on page 6 of the February 22, 1955 American Jewish Outlook. 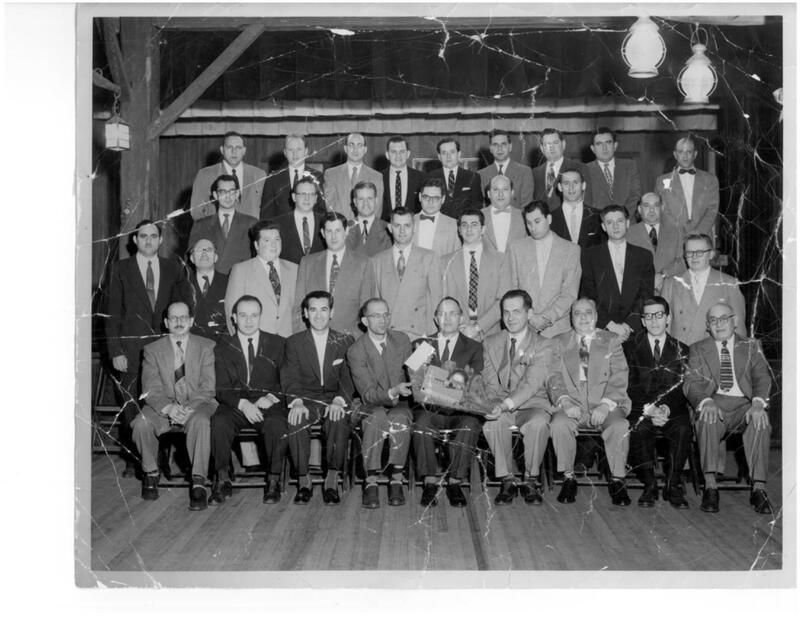 To learn more about the people and events in the history of PJC, search for a name or phrase in the Pittsburgh Jewish Newspaper Archive or search through the Rauh Jewish Archives at the Heinz History Center. PJC is the only Conservative synagogue in the eastern suburbs. We at PJC like to think of ourselves as a “heimisha”, family-centered, congregation.